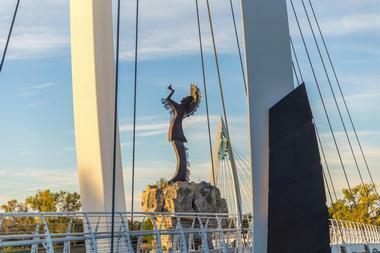 Plan a weekend trip to Wichita, the largest city in Kansas, where you will find a selection of unique attractions, breakfast spots, wedding venues, parks and museums. Explore the Ulrich Museum of Art, visit Frank Lloyd Wright's Allen House, stroll through Botanica Gardens, take a step back in time at the Old Cowtown Museum, and view beautiful art the Wichita Art Museum. 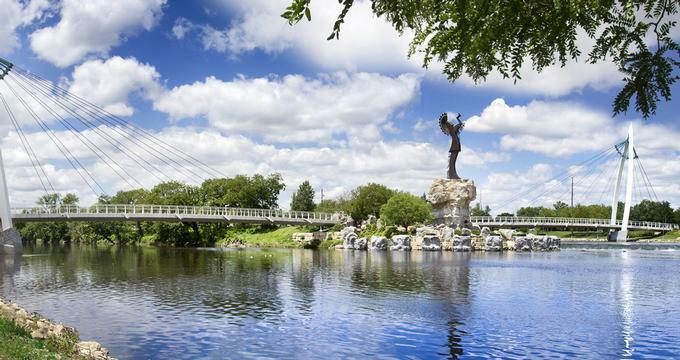 Best things to do in Wichita, KS with kids include the Sedgwick County Zoo, Exploration Place, and the Museum of World Treasures. Located on the grounds of Wichita State University, the Ulrich Museum of Art houses both contemporary and modern art, and is one of the top Wichita attractions. With an intention to connect the region with artists and artwork that reflect the modern world, Ulrich Museum has permanent and temporary exhibits that are open to the public. The museum provides visitors with the chance to explore 20th and 21st century art, while receiving interpretive explanations of how the work offers innovative perspectives and rethinks traditional expectations. The museum is also home to the Martin H. Bush Outdoor Sculpture Collection, a 76-piece set that consistently receives notable national attention. Frank Lloyd Wright's Allen House is one of the last additions to the famous designer’s Prairie home collection, and one of the best things to do in Wichita, Kansas. Frank Lloyd Wright designed the house, and he himself considered this piece one of his personal bests. Designed to allow visitors engage with natural landscapes while feeling that they are living among nature, the home represents Wright’s perspective on prairie living. Originally designed in 1915, the home has been restored to its 1918 condition. It now functions as a museum, and guests are able to tour the home and experience Wright’s architectural gift and design philosophy. The house is open by appointment and each tour lasts about 1.5 hours. The Sedgwick County Zoo is a major Wichita attraction that has received national and international attention for its conservation efforts and breeding success among endangered and rare animals. 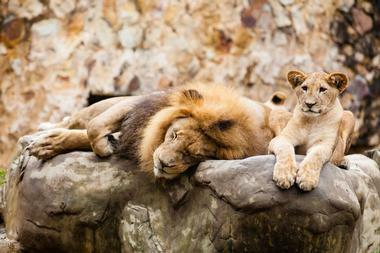 The zoo is home to 500 species of 2,500 animals, which reside in custom and naturally authentic habitats. If you are wondering what to do in Wichita KS with kids, this is a great place to visit. The zoo’s most notable exhibits include the Downing Gorilla Forest, which emulates a Congo village and hosts various monkeys, birds, and a gorilla exhibit. Pride of the Plains takes visitors on a winding tour through series of hogs, meerkats, and lions. The Tiger Trek is an Asian themed display that features tigers, geese, deer, and red pandas. Finally, a series of Humboldt penguins call the zoo’s Penguin Cove home. 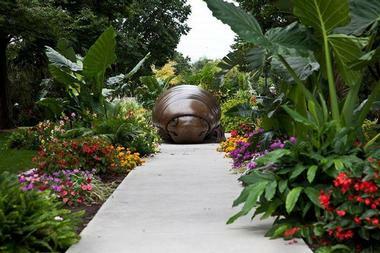 Botanica is a collection of themed gardens covering nearly 20 acres of Wichita land. The permanent gardens include a butterfly garden containing a large, indoor butterfly house, a tropical greenhouse, an aquatic collection, a juniper garden, a rock garden, a rose garden, the Shakespeare garden, and nearly 15 others. A large children’s garden offers unique opportunities for children to become acquainted with nature and immersed in the environment. Throughout the year, Botanica is host to a variety of seasonal and visiting events, including a summer concert series, a butterfly festival, and holiday based festivities. Botanica also provides workshops, presentations, and group based classes. 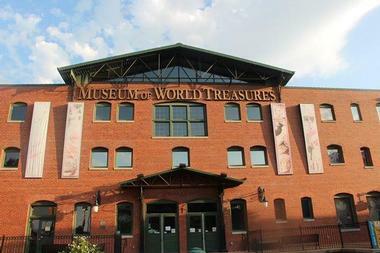 The Museum of World Treasures is a large and diverse world history museum. The museum’s collection spans across time, showcasing a varied array of subjects, characters, and eras. The first floor of the museum features three large dinosaur specimens, including a tyrannosaurus, an authentic Egyptian mummy, ancient Roman coins, and information on each of the civilizations of the ancient world. The second floor features world leaders, military history, and historical royalty, and displays include signatures from every American president, original War artifacts, and a replica of the President’s Resolute desk. The third floor features pop culture icons, including sports artifacts, movie memorabilia, and collections of arts and literature. The Great Plains Nature Center is an indoor and outdoor nature preserve that allows guests to become acquainted with the flora and fauna of the Great Plains Region. The large complex offers guests the opportunity to roam throughout various displays, exhibits, and ecosystem preserves. Each area comes equipped with interpretive literature and educational material to provide information on the zone’s natural qualities, habitat, and regional specifications. The center’s goal is to connect the public with the environment and to inspire lifelong learning through engagement and immersive experiences. The center also offers a variety of trails, bird watching platforms, a wildlife observatory, and Discovery programs, including classes and workshops. 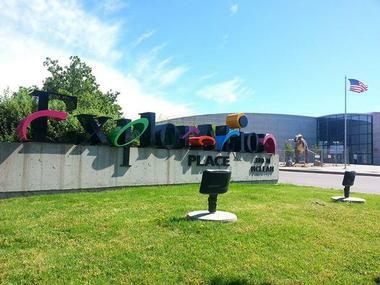 Exploration Place is a hands-on science-learning center in downtown Wichita. The building is nearly 100,000 square feet and is housed on a 20-acre campus. The building is only accessible by walkway, as a moat of water surrounds the unique structure. Inside, guests are able to experience a variety of permanent exhibits, whose intention is to facilitate learning and scientific engagement through entertaining hands-on learning. Exploration Place is one of the best things to do in Wichita, Kansas with kids. Permanent exhibits include a seven-foot tall mouth replica to demonstrate oral health, a fossil dig, a tornado simulator, a space exhibit, a dinosaur exhibit, and a flight exhibit, which features a real plane propeller and a flight simulator. Located in downtown Wichita, the Wichita Art Museum is one of the city’s oldest galleries. Established in 1915 and opened to the public in 1935, the museum houses a variety of exhibitions and collections that feature primarily American based artists in numerous mediums and categories. The museum showcases a permanent collection alongside traveling and temporary displays. Additionally, the museum hosts a variety of programs and events throughout the year including classes, workshops, lectures, and outdoor concerts for both adults and families. A small outdoor garden features a series of sculptures and installations, and an on-site café and gift shop is available for visitor convenience. 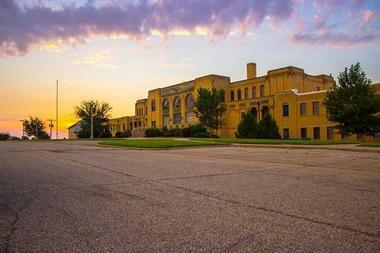 The Wichita Sedgwick County Historical Museum is a nonprofit museum dedicated to preserving the history of the city of Wichita and educating the public on the city’s heritage and unique qualities. 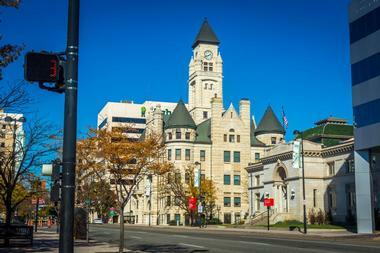 The museum, located downtown, resides in what was once the original City Hall. The gothic style structure houses four floors of interpretive information and interactive exhibits, all of which are open to the public. The museum has a variety of permanent exhibits that outline the city’s past, including economic developments, notable figures, and the technological changes that have taken place over time. Throughout the year, the museum also provides feature exhibits and special exhibits, including seasonal displays and special events. One of just a few professional Symphonies in Kansas, the Wichita Symphony Orchestra has been performing for patrons since 1944. 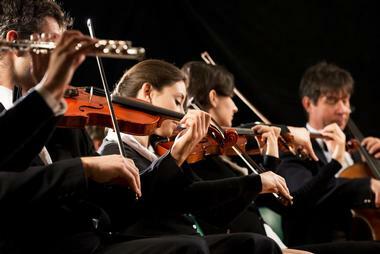 The symphony is associated with the Wichita State University’s musical department, and it is comprised of three various ensembles: the Wichita State University Chamber Players, the Wichita Symphony Chorus, and the Singing Quakers Alumni Choir. Throughout the year, the symphony puts on a variety of performances, ranging in styles from classical tunes to pop music hits to blue jazz songs, and more. 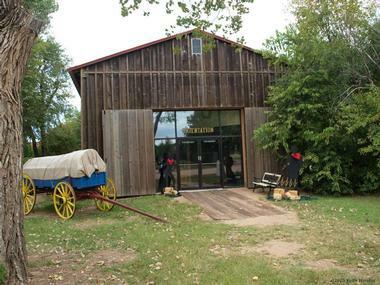 The Old Cowtown Museum is located outside of downtown Wichita on the banks of the Arkansas River. Composed of over 50 historic and recreated buildings, the museum illustrates how the city of Wichita and the county of Segwick would have appeared between 1860 and 1880, and it is one of the largest and oldest open-air history museums in the Midwest. Within the museum, visitors are able to take tours through the buildings, which have been repurposed to demonstrate how the people of the city would have lived in the late 19th century. Interpreters in period costume, authentic artifacts, educational programs, and hands-on activities are all components of the museum’s offering. The Mid-America All-Indian Center is a local museum dedicated to demonstrating and celebrating the history and culture of the Native American peoples through interpretive education and original tribal artifacts. The only museum solely dedicated to Native American heritage in the state of Kansas, the Mid-American All-Indian Center is host to a variety of notable artwork and collections of original pieces including beadwork, jewelry, baskets, pottery, and pipe bags, as well as the flags of over 70 different tribes from across North America. Throughout the year, a variety of cultural demonstrations, seasonal activates, lectures, classes, and workshops take place on site. 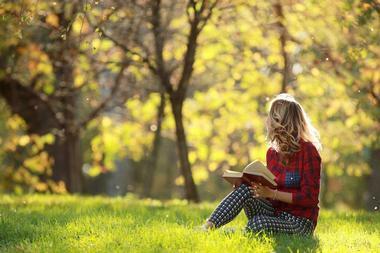 Sedgwick Park is an expansive public green space located just outside of downtown Wichita. The park itself is host to four inland lakes, which provide plentiful opportunities for guests to engage in water sports such as boating, kayaking, or paddle boarding. They can also take advantage of several popular fishing spots. The park contains a series of both paved and dirt trails for walking, biking, and running. Several athletic fields and recreational spots, including basketball, volleyball, softball, bocce ball, horseshoes, and tennis, are scattered throughout the space, and in colder weather the park is home to a sledding hill and ice skating rink. Shelters are available by reservation, and restroom facilities are plentiful. Housed in a heritage Wichita Municipal Airport Terminal, the Kansas Aviation Museum boasts an authentic environment and aircraft collection, making it a premiere destination for aviation enthusiasts. With a mission to preserve Kansas’s aviation history and to educate the population about the past, present, and future of flight, the museum is comprised of educational materials, hands-on activities, and authentic aircraft for visitors to explore. Located in downtown Wichita, the Century II Performing Arts & Convention Center is an expansive community center that hosts a variety of entrainment and consumer based performances. 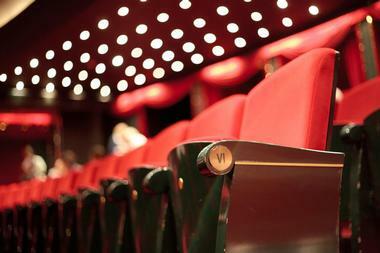 The largest center of its kind in Wichita, the center is the performance headquarters for several local groups, including the Music Theatre of Wichita, the Music Theatre for Young People, the Wichita Symphony Orchestra, and the Wichita Grand Opera. Covering a four-block area inside Central, Washington, Douglas, and Santa Fe streets, Old Town Wichita is a historic district comprised of authentic brick streets lined with authentic lampposts and converted warehouses. These spaces now serve as restaurants, shops, cafes, bars, entertainment facilities, art galleries, offices, condos, and other various public attractions. The district is a focal point of the city, and it acts as a cultural gathering place for community events and activities. Old Town hosts various events and seasonal festivities throughout the year. 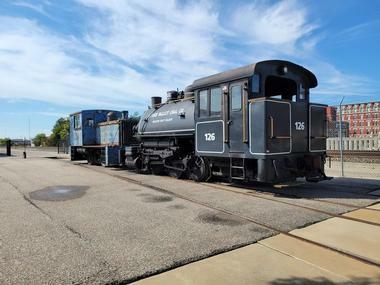 The family friendly Wichita Toy Train Club and Museum was founded and managed by a group of toy train enthusiasts and collectors. The museum is host to a variety of authentic collectable items related to trains, with entire layouts of these rare pieces spread throughout the gallery space. Over 50 feet of display cases exhibit a variety of train and train related items from numerous brands and lines. 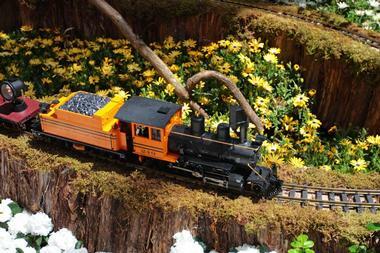 While many of the pieces are only available for viewing, the museum provides several that are operable by guests with the assistance of staff and volunteers, and a small area is specifically designated for children to interact with child-friendly toy trains and wooden layouts. Wichita’s first climbing gym is scheduled to open in late fall of 2015. Bliss will feature several 38-foot climbing walls, a smaller, 28-foot wall for beginners, a yoga studio, a cardio room, and a weight training facility. Wichita Food Tours combines a diverse culinary experience with an opportunity to observe some of Wichita’s best local sites. The relaxed and upbeat walking tour lasts two and a half to three hours, and it leads guests through a series of Old Town locations where they can sample foods from the most notable eateries in the city. At each restaurant stop, guests are able to taste a preselected sample while learning about the specific cuisine and eatery. While walking in between locations, the knowledgeable, local tour guides provide engaging historical context and entertaining stories about the buildings, architecture, and history of the city. 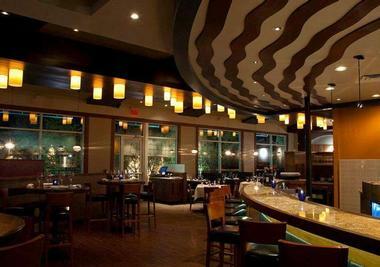 Newport Grill is a unique and festive location to enjoy lunch or dinner. 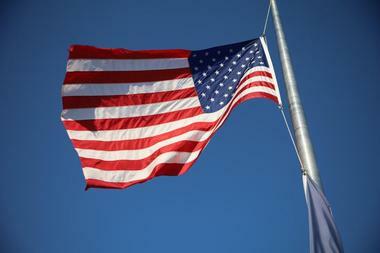 The menu features classic and traditional American dishes, along with a selection of seafood and high quality steaks. One of the restaurant’s primary attractions is its charming décor and expansive water views. On the banks of a small inland lake, Newport Grill offers several layers of outdoor dining where guests can sit waterside. Inside, the restaurant offers wide views of the exterior environment, along with a compelling nautical theme and fine dining details. Small Cakes Cupcakery is a small Midwestern franchise shop open throughout the day that features specialty cupcakes for sale. 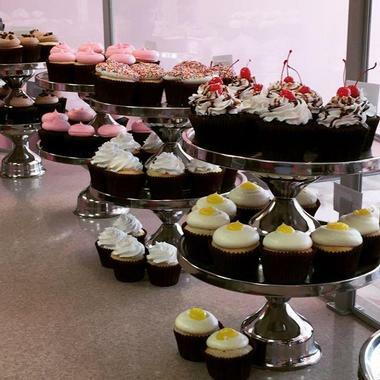 Small Cakes in Wichita is a well-known establishment founded by Lexi Bruner. Available for pick up or eat in, Small Cakes offers a small dining area that features several cozy armchairs and home-like touches, making the shop bright and cheery. Pink walls, vibrant rugs, and vintage décor create a trendy energy, and guests can pick up coffee, milk, and other drinks while ordering. This classic Wichita diner is a local hotspot for lunch and breakfast. The menu features traditional diner fare, including breakfast items that are available throughout the shop’s early afternoon hours. 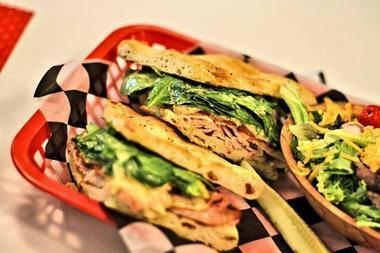 With offerings that include breakfast items, sandwiches, burgers, salads, and soups, Doo-Dah boasts an entirely handmade menu.